Ferghana.Ru news agency has already run some stories on establishment and functioning of Central Asian diasporas in Russia (see Immigration). Here is another story, on Afghani diaspora, in an interview with Mr. Gulam Mohammad, Fatherland Business Center President. Ferghana.Ru: How would you evaluate the strength of the Afghani diaspora in Russia? Gulam Mohammad: I'd like to begin with how the diaspora was formed, if you have no objections. Practically all intelligentsia fled Afghanistan for foreign countries in 1992 when the government of Najibulla was toppled and the civil war broke out. We chose Russia which was hardly a coincidence because we had studied in this country and had friends here. It was a difficult period for us and difficult for Russia. The hopes we had pinned on Russia proved futile because Russia had its own problems to cope with. We found ourselves in a situation where neither Russia nor the international community could come to our aid. I wouldn't even say that we found ourselves welcome on arrival. Discrimination was something awful. Few Afghanis of all who ended up here had any papers, and this state of affairs necessitated some sort of official organization. Afghani communities recognize only elected organizations and we knew it all too well. Shortly speaking, leadership of the organization, its board of directors, and deputy directors were elected by secret ballot in February 1997. That was how the Afghani Business Center (non-profit partnership) was established as an organization that performed the functions of the diaspora. The structure applied for official registration and was granted it. We believe that there were about 150,000 Afghanis in Russia then, and between 30,000 and 50,000 of them in Russia. The exact figure was anybody's guess because people kept coming and going. Some Afghanis regarded Russia as a stopover en route to the West where they hoped to obtain the official status. All the same, most Afghanis chose to stay here. These days, there are approximately 100,000 Afghanis throughout Russia and 25,000 or 30,000 of them in Moscow. The Fatherland Business Center has headquarters in the Sevastopol Hotel where 500 companies are registered. They employ almost 4,000 entrepreneurs. Beginning our work here, we set out to do everything by the book. It was not easy, you know, because Afghani mentality associates the law with the powers-that-be. Afghanis had been living without the law for almost 30 years. There was the revolutionary situation, no laws were passed for some time, and the mujahedin eventually seized power in the country. In other words, a whole generation grew up in a country where there existed some rules and norms but official laws were absent. We set out to persuade the people of the necessity to abide by the law here in Russia, and it was not easy at all. We succeeded, fortunately, mostly because the effort was truly dedicated. Constant work was needed to teach our people to abide by the Russian law. We set up closed-circuit TV in the Sevastopol and launched a daily newspaper. As a matter of fact, there was even a period when we had 7-8 newspapers but not any more. We have one daily now, plus some weeklies and monthlies. Our youths, our future generations are ever in the focus of attention. We truly care because there was a certain period, you know, when our young men began their working days with a beer. It appalled us because our children were there and saw it all... Aware of the necessity to do something about it, we involved the mullah of our mosque. Unofficially, that is. We wanted our young men to behave themselves in the country where we all live and work. Even that, however, was not sufficient because our adolescent start attending the mosque at 13-15 years. Children younger than that needed some work with, too. They were turned loose from Moscow schools since they lacked residential registration, and their parents started coming with their children here, to the Center. We organized a school for them, a school financed entirely by the Center. Its curriculum is partly Afghani and partly Russian. Ferghana.Ru: In what language do you teach kids? Gulam Mohammad: Our own languages (Dari and Pushtu) and Russian. I'd like to say as well that we celebrate all religious and national festivities - either together with the Embassy of Afghanistan or on our own. Ethnic issue has always been quite pressing in Afghanistan, even before the Talibs installed their regime in the country. There was always discord of varying intensiveness between the Pushtu, Tajiks, Uzbeks, Khazareans, and other ethnic groups. Here in Russia our constant cultural and education programs have spared us it and enabled us to avoid ethnic crises. We consider it a major victory because there is no other such community in Afghanistan itself or anywhere in the West where people from different ethnic groups pray and work together and communicate. Elsewhere, you will see that the Pushtu, Khazareans, and Tajiks worship separately. It is different with our community here. Its leaders are reliable men, ones who promote interests of all ethnic groups. I repeat: we consider it a major victory that we are never plagued with nationalism or religious extremism here. Of course, there were some attempts to smear us for political motives and religious. Moreover, whenever media outlets write about drugs, they always mention the Afghanis. "Afghani heroin" is the widespread cliche. I'd like to announce here that we of the community have never had anything to do with drugs. We keep it this way and never cease reminding the community that keeping it this way is in our own interests because law enforcement agencies are never far away and watch us closely. Ferghana.Ru: High crime rate in ethnic communities is another cliche, right? Gulam Mohammad: Permit me to point out that the crime rate in the Afghani diaspora is the lowest throughout Moscow and all of the Russian Federation. It's way under 1%. Judge for yourself. There are 46 Afghanis in Russian jails nowadays, mostly imprisoned for domestic crime. With almost 100,000 Afghanis in Russia, 46 prisoners is a low percentage indeed. Our diaspora is regarded as the best disciplined and least crime-ridden in Moscow. Also importantly, we've never had anything to do with racket. You know how widespread it was, once. Fortunately, we all live side by side and that enabled us to fight any aggression. We defended our interests, nothing more. There are no criminals in the diaspora and therefore no weapons. There were even the attempts to associate the Afghani diaspora with the war in Chechnya, to maintain that representatives of the diaspora were fighting in this republic once. I'm telling you right here and now that these slanderers do not have a single established fact to substantiate their claims. Actually, the very fact of the existence of our organization benefits the Russian state. Had the Afghanis found themselves separated - and many Afghanis have extensive combat experience, - difficult economic situation would have pushed at least some of them into the underworld. Our compact habitation therefore enables law enforcement agencies to keep things under control and that is definitely an advantage from the standpoint of security. Logical, isn't it? There is another nuance here. Our companies are officially registered which means that they pay taxes. We are not a burden for Moscow taxpayers, because we faithfully pay our taxes every month and every year. It is important too, I'd say. Instead of asking state structures for anything, we pay our taxes and thus help the Russian state itself. Ferghana.Ru: Where do the Afghanis live? In the Sevastopol Hotel or somewhere else? Gulam Mohammad: They live all over Moscow. There was a short period in 1997 - 1998 when we both lived and worked here but it is over now. All have apartments of their own now where they live with their families. Some bought the apartments to live in, others rent them. Things are looking up. Some Afghanis even bought dachas or summer cottages beyond Moscow. Economically speaking, the Afghanis are self-sufficient and independent and that's what really counts. I'd like to emphasize that the Moscow diaspora is the world's only collective of the Afghanis that is economically independent. We lead a respectable life here, abiding by the laws of the Russian Federation and those of our own community. Most Afghanis would even like to help their native country and facilitate construction of new society there. And they will do so, as long as the situation became stable. It is our hope and our duty. Ferghana.Ru: Have the people grown accustomed to life in Russia? Gulam Mohammad: We are accustomed to life here, and we like it in Russia. In the meantime, I do not think anyone at all is indifferent with regard to what is happening in his native country. It pains us to see what is happening in Afghanistan. I do not think anybody has ever tried to ask the Afghanis themselves what they feel or what they want. What foreigners have always tried is forcing their own ideas on the Afghanis. People in the West have never known starvation or life among ruins. They have never lived without electric power, running water, or comfortable dwellings. They attended schools where boys study together with girls. They do not understand the values cherished in Afghanistan. Our values are different from those of the West, you know. Sure, basic values are relatively similar but differences are vast all the same. Say, a mercenary sent to Afghanistan encounters an elder. What does he see? A human being, someone to be searched and even humiliated. And what will an Afghani see? A man to be respected, a man to be followed... These days, both elders and women are humiliated in Afghanistan in front of other Afghanis. Foreign soldiers brandishing firearms force their way into Afghani households, search women and elders, humiliate them. It never occurs to them that what they are doing is bad, that the Afghanis will certainly want vengeance. It never occurs to them that they themselves breed hatred and provide the locals with an excuse to join armed resistance. It is time foreigners understood that the way they have been behaving in Afghanistan will never bring peace to this country. I'd say that Afghani diasporas abroad should be deployed to ameliorate this state of affairs. Let us help our country. Ferghana.Ru: What is the Afghanis' legal standing in Russia? Gulam Mohammad: We encounter serious problems with the official refugee status which is usually denied us. It is only granted to several men every year (!) which is not a solution to the problem, of course. Our companies in the Sevastopol hotel are essentially the only means for us to officially confirm our legal standing. It is common knowledge by the way that a lot of Afghanis try to marry here. It is one of the means that enabled many Afghanis to obtain Russian passports. The situation in the provinces is somewhat better, the authorities are not that squeezy about the status. The Afghanis there are given the documents that enable them to work. There is, however, a different problem that I think has been neglected. Say, a person has already submitted documents for the passport and formal procedures are under way. Where is this person supposed to be registered for the time being? No living accommodations means no passport. Everyone knows that buying apartments in Moscow and the Moscow region is problematic. Numerous appeals to the Federal Service of Immigration seem to have helped. These days, the Afghanis are given a provisional residence permit that enabled us to employ them officially. The document allows employment without the work permit as such. At least, employers are not fined anymore, and between 400,000 and 800,000 rubles is more than our companies can usually pay. All the same, the problem with the status still awaits its solution. Ferghana.Ru: Your Center operates in Moscow. What is the situation in other Russian cities where the Afghanis live? 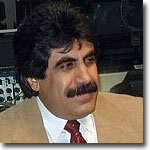 Gulam Mohammad: The second largest Afghani diaspora is in St.Petersburg. State structures there are more sympathetic in the matter of the Afghanis' legal standing than in other Russian cities. Lots of Afghanis ended up in Minsk. It is a foreign country, of course, but the Afghani diaspora in Belarus is large too. The state of affairs is all right. People are issued proper documents and are spared undue attention of the local immigration service. It is employment that they encounter problems with in Belarus. Where it is all right with documents, it is anything but with employment... There are lots of Afghanis in Rostov, Ivanovo, Krasnodar, Ulianovsk, Voronezh, Stavropol, Moscow region, Ryazan, Ufa, Kazan, and even in Yakutia. Ferghana.Ru: What about every day life of the diaspora? Gulam Mohammad: We meet on weekends for trips out of town. We organize music parties and performances. We even invent new excuses for parties - both for the young and for their elders. In fact, we celebrate both Russian and our own occasions. It's not what I'd call a boring life. Ferghana.Ru: These Afghanis who marry Russian girls? Does it occur frequently? Or do marriages within the diaspora prevail? Gulam Mohammad: Hard to say. We have a new generation here now, young people who have never been to Afghanistan. It never occurs to them that it is possible to invite a bride from Afghanistan. We always use what parties and other occasions we arrange to help young men and girls meet. Most Afghanis find brides within the community itself but some do marry Russians. Ferghana.Ru: What is the sphere of the Afghanis' activities here? Gulam Mohammad: Mostly trade in consumer goods - both in the Sevastopol hotel and in marketplaces throughout Moscow (Cherkizovsky, Pokrovsky, Tsaritsyno, and others). Ferghana.Ru: The recent resolution that restricted the number of foreigners permitted as vendors came into effect on April 1. Has it had any effect on the general situation? Gulam Mohammad: We were ready for it. Our companies were registered in advance. Had we been caught unprepared, it would have been extremely difficult now. As things stand, however, we escaped unscratched. Ferghana.Ru: Do the Afghanis go to mosques in Moscow or do they worship separately? Gulam Mohammad: We once tried to have a mosque built on Prospekt Mira in Moscow. We worship elsewhere now. Ferghana.Ru: And when someone dies? Does he or she remain in Moscow? Gulam Mohammad: That's an important question. The person is interred in accordance with his or her wishes. If he or she wished to be interred in Moscow, then in Moscow it is. It is particularly frequent with the people without anyone in Afghanistan because the family left the country. We have a plot on Khovanskoye Cemetery where we inter our people. Or else we have the body flown over to Afghanistan - at the Center's expense. Ferghana.Ru: Back to you statement concerning intellectual potential of the Afghani diaspora in Russia. What was your statement based on? Gulam Mohammad: It was the Afghani elite that came to Russia and chose to stay here. There were almost 100 ministers and governors among us, 200 generals, 200 doctors of sciences, 15,000 trained specialists, and 5,000 servicemen. All of them people with a diploma or two, people who ran the state. Hence our conviction that the diaspora here is the best disciplined and organized. Everyone from mere soldiers to generals earn their own living and abide by the law.